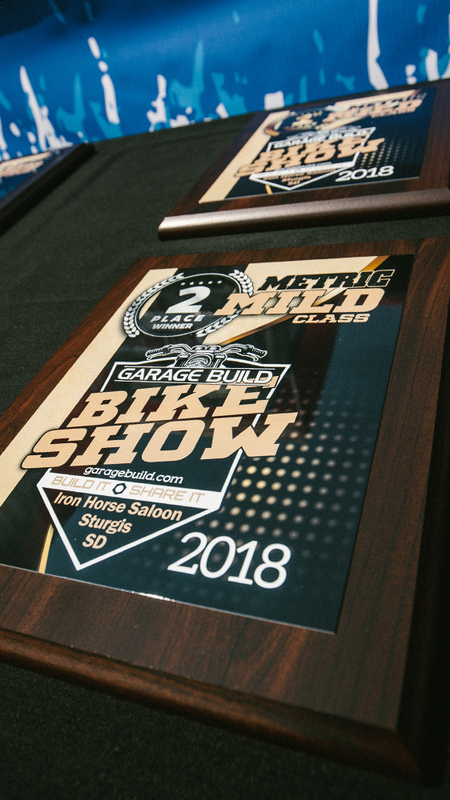 The 1st annual Sturgis Garage Build Bike Show was a smashing success. To be honest we didn’t know what to expect since this was a first time show and it was held on the first Saturday of the rally. We thought those two things might combine to limit the number of bikes entered into the show. 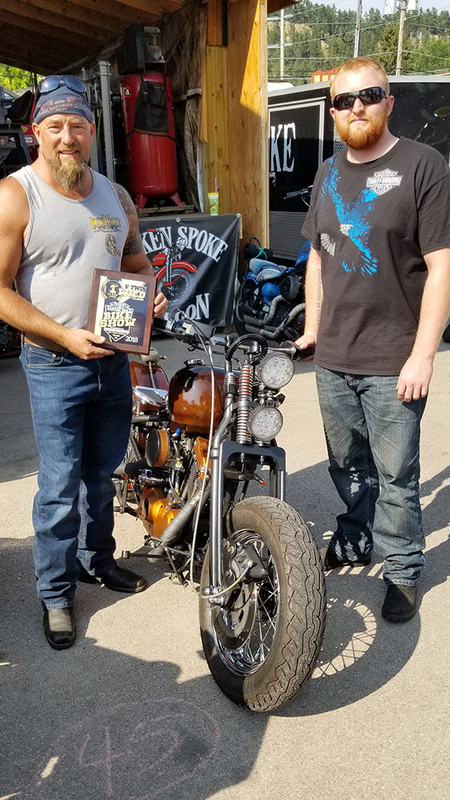 On Friday night we decided if we could get around 30 people to show up and display their motorcycles we would consider it a good result. Much to our surprise we had 62 people come and participate in the show! There were so many bikes we overflowed the space allocated for the show and had to take over more of the Iron Horse Saloon than intended. Now that was a high grade problem! It was a perfect weather day. 82 degrees and sunny. The Iron Horse Saloon was a great location for the show. Right in the center of the rally and the atmosphere was well suited to the event. 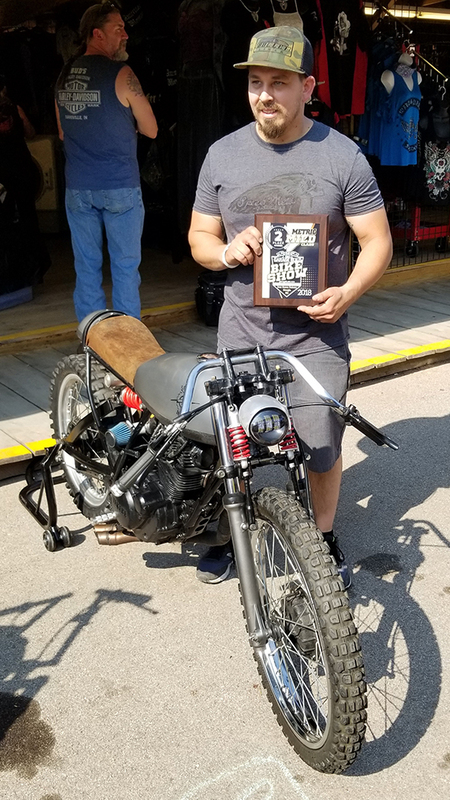 The American Iron Garage staff was on hand to judge the show and as always, they picked really cool bikes to win the awards. There were no pro-built bikes allowed. This was a show for people who took pride in doing it for themselves. 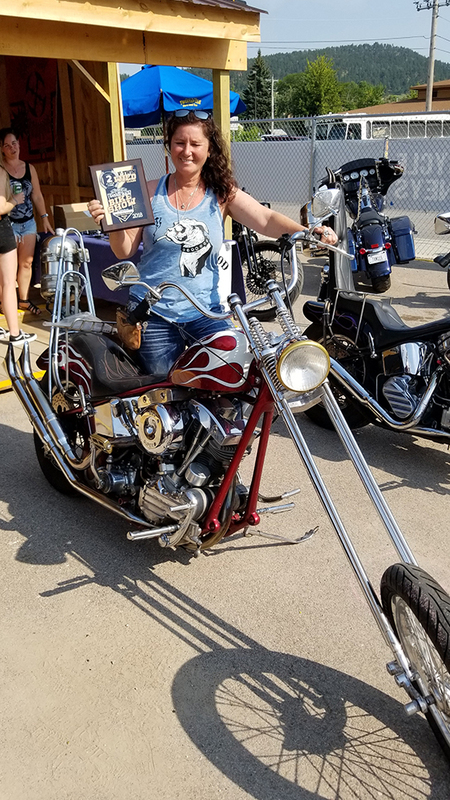 The creativity and variety of motorcycles on display really demonstrated that amateur builders can produce awesome builds! There was quite a crowd of spectators milling about, drinking beer, having a bite to eat and enjoying the show itself. 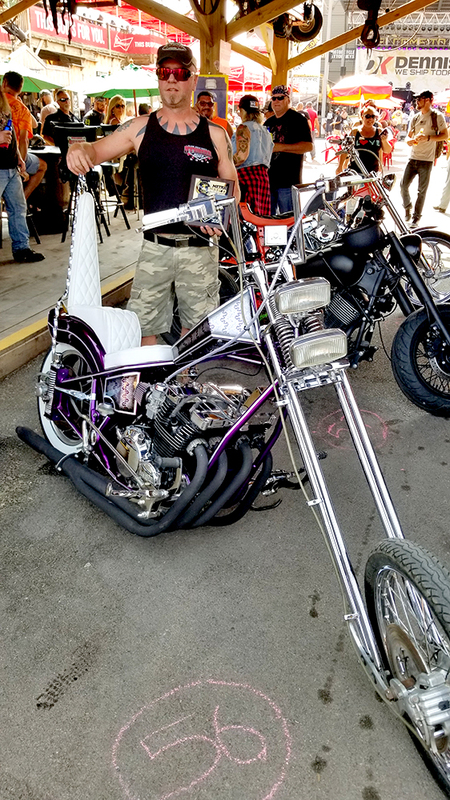 Since many of the visitors had also spent time modifying their motorcycles to make them their own they really enjoyed checking out what other people accomplished in their garages. 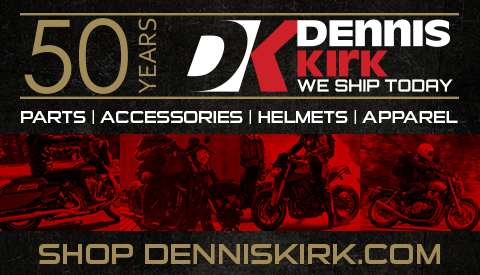 This is your chance to show your stuff live and in person at the greatest motorcycle rally in the world. 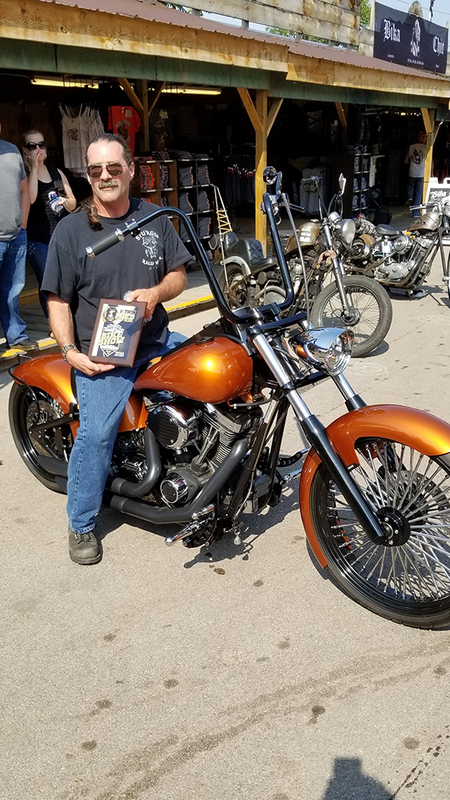 Dennis Kirk, with the support of the Sturgis Iron Horse Saloon and American Iron Garage Magazine are hosting the first ever Garage Build Motorcycle Show. This show is for you, the person who didn’t build it to make money but rather for the fun and self satisfaction of being able to say…I did it myself and I’m really proud of it! It doesn’t matter if it is mild or wild, as long as you did it yourself. If you built a ground up custom in your garage, we want to see it. If you heavily modified a stock motorcycle we want to see your bike too. 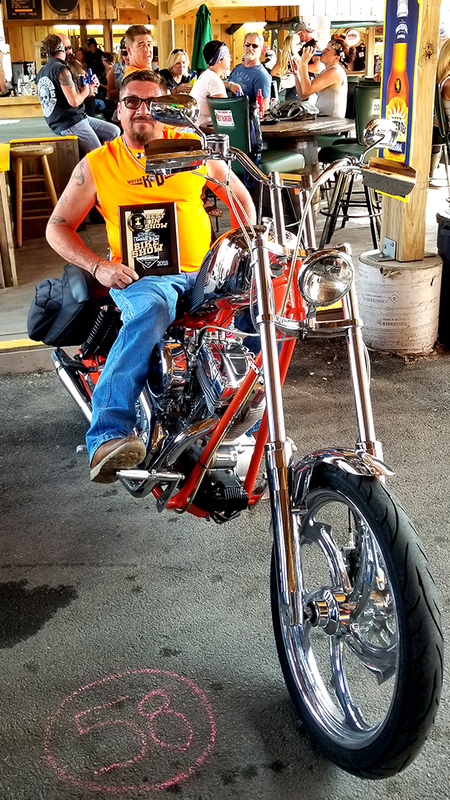 In fact, even if you just bolted on some cool stuff and tweaked your basic stock ride to make it your own come on over to the Iron Horse Saloon and show it off. V-Twins, Metrics, Trikes, Cafes, Rats or any other cool rides are encouraged to participate. What do you get for being in the Garage Build Show? First and foremost the opportunity to show off your pride and joy! 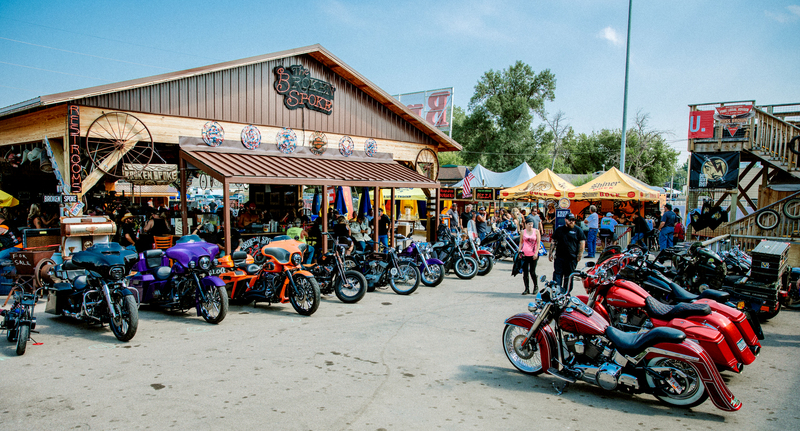 In addition, the Iron Horse Saloon will treat you to a free lunch, yes it is a true free lunch! 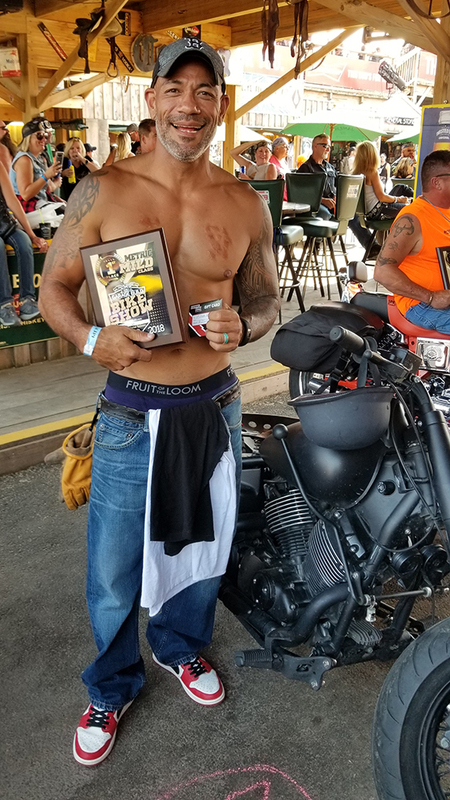 You will also get a free swag bag full of goodies, a chance at trophies, gift cards and the possibility of getting your bike featured in American Iron Garage Magazine. 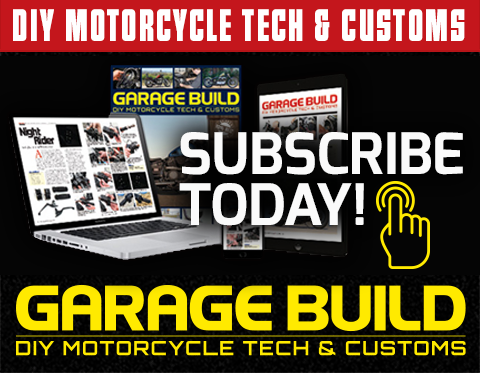 That is right, this is your opportunity to finally see your bike in an industry leading magazine where it rightfully belongs! There is no entry fee whatsoever. All you have to do is show up and you’re in the show. Time: pre-registration noon to 1pm. Show 1pm to 4pm. Registrants will also be admitted at any time during show hours. American Iron Garage Magazine staff will judge the show. Plaques and gift cards will be awarded at 4pm from the Dennis Kirk Stage at the Iron Horse Saloon. 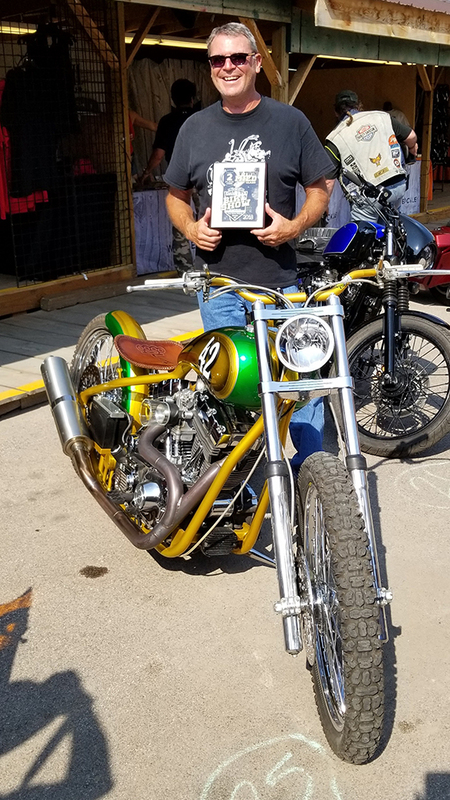 American Iron Garage Magazine staff will select a show bike of their choosing to feature in American Iron Garage Magazine. Free lunch is limited to one per bike entry. We’ll feed you, but not your gang! Dennis Kirk will have computer equipment on hand so participants can post their build on garagebuild.com during show hours.